Goodreads: Sixteen years ago, Sylvie’s sister Persephone never came home. Out too late with the boyfriend she was forbidden to see, Persephone was missing for three days before her body was found—and years later, her murder remains unsolved. Kritters Thoughts: Sylvie is the younger sister and one night she makes a decision that affects her for the rest of her life. 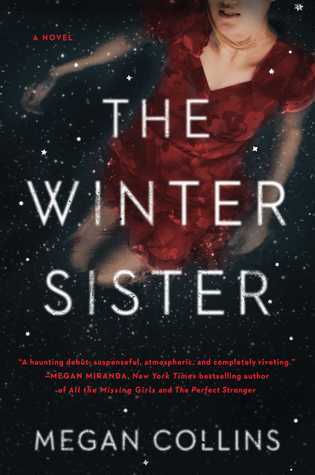 Her older sister Persephone doesn't come home one night and days later is found murdered. It is now many years later and Sylvie is returning home to take care of her mother as she battles cancer and in returning home she decides to really figure out what happened to her sister all those years ago. I always love a book where the main character goes back home and in that revisits things from the past and finds the truth. I loved watching Sylvie follow the clues and I was completely satisfied with the resolution - always a big thing for me in a mystery book. I loved this dysfunctional family. It was a lot of drama, but never felt like too much. There were a few times where I wanted to smack someone into honesty or maybe roll my eyes, but what is fiction without a little drama! I don't want to spoil but I was distracted a bit because I swear that the thing that Sylvie finds guilt in was also in a recent book I had read. I still can't figure out what book used the same device, but I swear I had read those exact words before - if you have read this book have you read that before? Sorry to be vague, trying to stay away from spoilers! I liked this one. I was impressed to find out after finishing it was a debut and it makes me excited to see if Megan Collins has more up her sleeve! Disclosure of Material Connection: I received one copy of this book free of charge from Touchstone Publicity. I was not required to write a positive review in exchange for receipt of the book; rather, the opinions expressed in this review are my own.